Pegler Communications guarantees you quality communications at a competitive price. Sending out an effective message is vital to all organisations. Managing Director Lynn Pegler DL, MA, Dip CIPR, MCIPR, BSc (Hons), ALAM, and her experienced team of creative associates can help you achieve the best results by delivering the right words to your target audience. 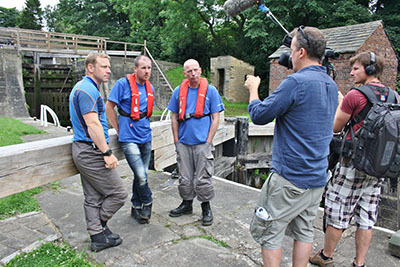 Filming for the BBC One Show for the Canal & River Trust. Whether you need a major integrated press and marketing campaign or copywriting for a website, we have more than 20 years’ experience of delivering excellent customer service. 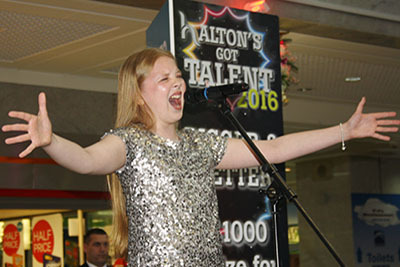 ITV Britain’s Got Talent finalist Beau Dermott launches Halton’s Got Talent Contest at Runcorn Shopping City. 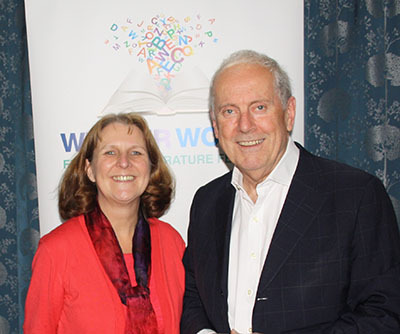 Creative writing and performance techniques from an award-winning writer and director can help you and your organisation take centre stage. 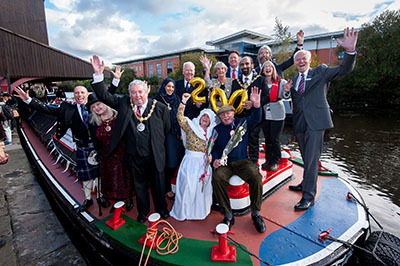 Promotion of the Leeds & Liverpool Canal Bicentenary for the Canal & River Trust. Chantelle Seaborn, North West Waterway Manager, Canal & River Trust. 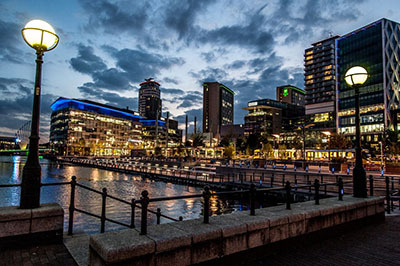 MediaCity at dusk – from Lynn Pegler’s illustrated poetry collection ‘Salford Quays Unlocked – Voices of Manchester Docks. Photo: Mike Poloway. 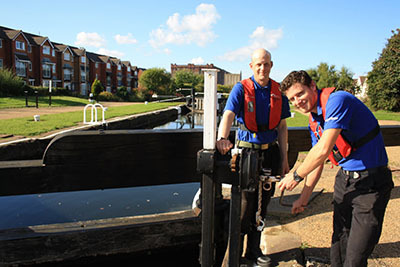 Media campaign to recruit more volunteer lock keepers.